Can you get a sunburn in the Winter? Is Nebraska stuck in winter? Is this permanent? We were all expecting March to bring fresh spring weather, only to be pummeled by snowstorms. We’ve already experienced one bout with snow and can expect another blizzard to come along not far behind. There is some good news, though. Remember that sunscreen you took out of storage in hopes of spending some time outside this month? You can still keep it out and apply it when you go outdoors to shovel more snow—it is still very possible to sunburn while surrounded by snow. Ultraviolet (UV) light from the sun’s radiation still damages the DNA in your skin, the biggest contributor to skin cancer, in the winter months. Sunburn and skin damage are not just summertime things. 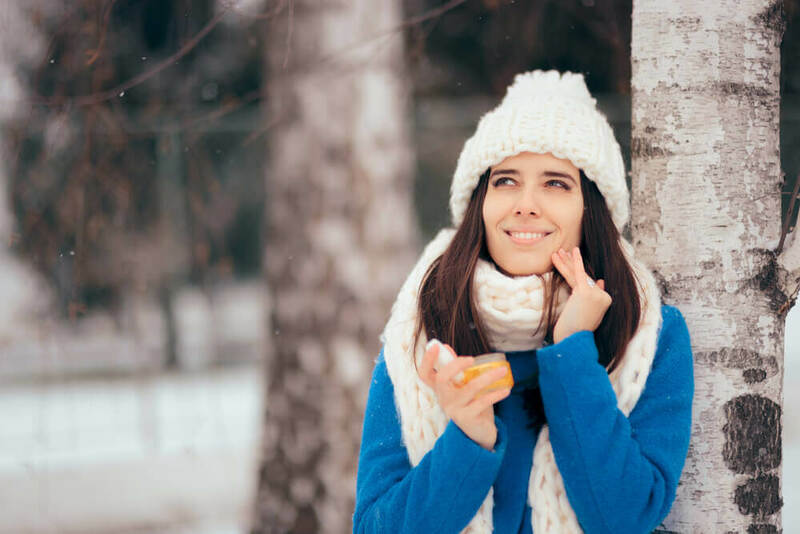 This post will address how winter sunburns and skin damage can occur and why you should still apply sunscreen in cold weather. 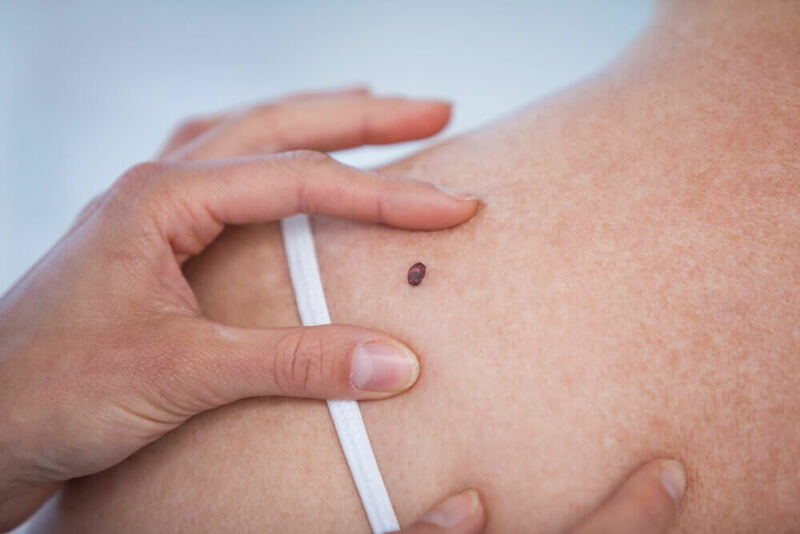 While the amount of exposed skin is limited in the winter months, the skin that is exposed is actually subjected to more damaging forms of UV radiation. Snow and ice reflect up to 80 percent of the UV rays that reach the ground, which does not include the direct rays. The planet's overall UV does slightly decrease in the winter, the angle of Earth reducing our region's exposure to the sun, but reflection can increase your chances of getting burned. In fact, people who are prone to sunburn are even more susceptible to winter sunburn. “The UV Index provides a forecast of the expected risk of overexposure to UV radiation from the sun.” These forecasts can be localized to your exact address thanks to technologies from the internet or even on your phone. While you should always wear sunscreen when spending time outdoors, the UV index will help you understand just how precautions you should be on a day-to-day basis. Studies suggest that UV radiation is intensified 8 to 10 percent for every 1,000 feet of elevation, increasing the risk of sunburn and skin damage. This point is especially important for people who frequent high altitude places or live in these regions. Don't think you need to wear sunscreen while skiing the snowy slopes of Colorado? Think again. You need it even more! Effective sunscreens carry a minimum SPF of 30, any less is not adequate. People are still capable of sweating in the winter so always select sweat-resistant formulas. Generally speaking, anything labeled as “sport” will be sweat-resistant but there are other options available. Lips should also be protected with sun-blocking lip balm of physical barriers. Any exposed skin should be covered with some sort of sun protection, whether it be chemical or material. Physical sunscreen is always a great second choice if you do not enjoy the combination of cold weather and chemical sunscreen. Ski masks, scarfs, neck warmers, or thermal fleece materials offer great protection for people shoveling snow or hitting the slopes. Plus, you don't have to re-apply them! UV also damages the eyes when outdoors for extended periods of time. Plus, the reflection from the snow is blinding. Sunglasses are an obvious and simple way to protect your eyes when outside. Those participating in outdoor sports should wear tinted goggles to protect their eyes from the sun and debris. You have probably heard of the idea that clouds intensify UV radiation, but there’s more to this idea besides your mother using it as a sunscreen selling point. Clouds actually reduce the amount of UV radiation that reaches ground-level but can also cause localized levels of UV rays to be higher than what they would be on a sunny day, trapping the radiation closer to the ground. Regardless, as long as the sun is lighting the day’s sky, which is literally every day, UV rays are reaching the ground. Protect your skin. Wear sunscreen. Be Mindful of time spent outside. As you probably know, the more time you spend outside, the more your skin is exposed to damaging UV rays. Be mindful not to spend too much time outside and apply sunscreen if you intend to be outside longer than a few minutes. Shoveling snow certainly qualifies dabbing on some sunscreen. Plus, there are many other damages associated with long exposure to winter temperatures.